ost of his adult life, and died. His grave is by the memorial bench, under a tree at St Peter & St Paul’s church, which is a 15 minute stroll from the village/train station. Wikipedia does not come close to giving you a sense of the man, Roald Dahl. Instead, I found two articles which do, an interview with Felicity Dahl and the story of the death of his daughter. Also very moving. I caught the train from London Marylebone on a bright November day. As I neared Great Missenden, I was rewarded by pleasing views of undulating green hills, grazing animals and autumnal leaves still hanging on for dear life. eted with fallen leaves, muting my footsteps. Over my head was a ceiling of gold and green. And when I stood still, I heard the continuous rustling of invisible falling leaves. A talking fox popping out from behind a tree would not have been so surprising. There is also a map and audio guide of the entire woods, which can be downloaded in advance. It will add another delightful hour to your day. There is also plenty of time for a village walk to check out other places that inspired or featured in Dahl’s children’s stories. 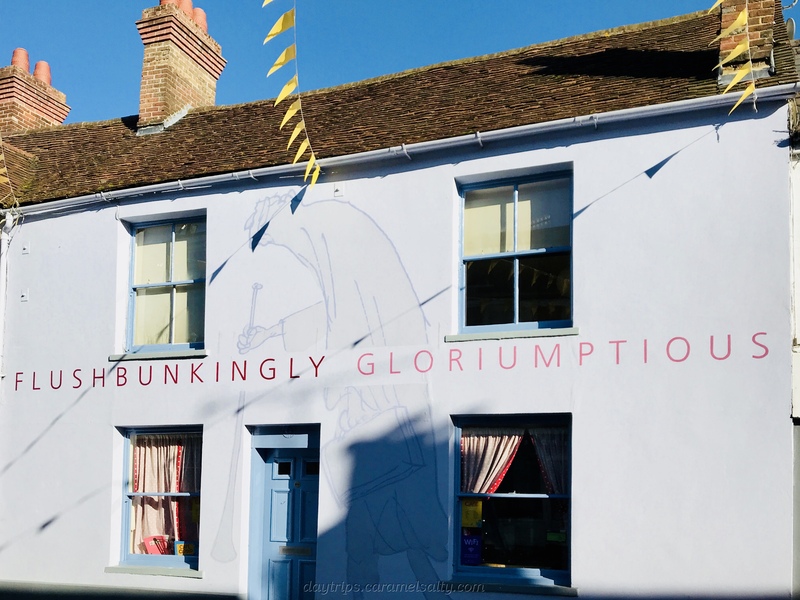 If you are keen to continue the Roald Dahl theme, then Aylesbury (£7.70 off peak return), just up the road, has the Bucks County Museum (closed Mondays too). Off peak train return (London Marylebone – Great Missenden) – £11.50. Bucks County Museum (optional) -£7.70(children’s Roald Dahl section); free all other sections. Here are also some walks from Great Missenden to other train stations, which can be done in day.